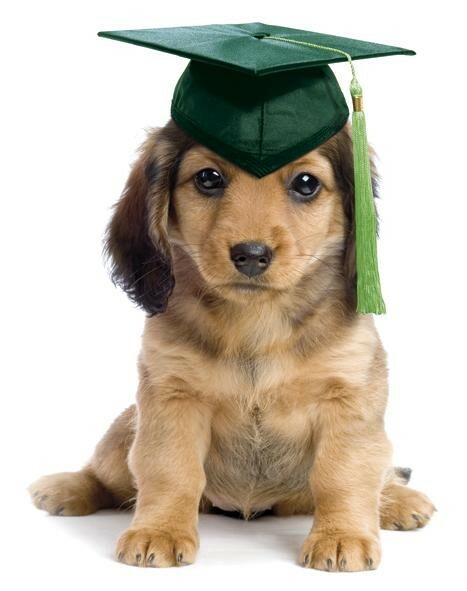 Veterinarian schools are very competitive to get into and there are only so many to choose from (28 in total), but if you can maintain a competitive grade-point average, preferably 3.5 or higher, then you are on track to get into a quality school. Most veterinary schools examine courses taken in the last 3-4 semesters more closely, so don't start getting a bad case of "senioritis". Study hard before taking the GRE Exam and check with your preferred university's web page (for grad school) to find out their target GRE scores. Consider taking one of the GRE prep courses beforehand so you will score higher. In addition to getting good grades and scoring well on the GRE, applicants will need three qualified individuals to provide letters of recommendation. One is required from an academic adviser; one is required from a professional veterinarian; and the third one can be from an individual of your choice (typically one of your course instructors). Some schools may require additional letters from two different veterinarians so double check to see what your school of choice requires. Veterinarians also learn about hundreds of different species of animals and as they increase in knowledge, they must also strive to gain relevant work experience and apply what they have learned. A significant amount of research should be conducted beforehand in order to find out which universities offer the best veterinarian programs that meet your specific needs. Most animal doctors end up working in private practices, or they work as an employee for a larger company, such as a zoo or the government. Upon completing graduate school, prospective vets will have the opportunity to pursue a specialization or get board certified, which will require additional learning and relevant work experience, but will lead to a significant increase in pay.